This home is easy to show and available for immediate occupancy! 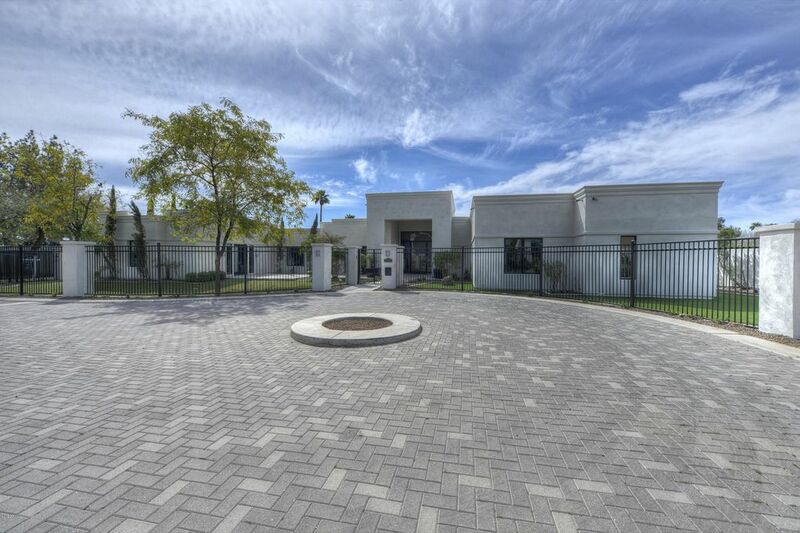 Stunning contemporary home located on a private, peaceful lot in the heart of Arcadia. Over 6, 000 square feet of upscale living space. Completely repainted inside and out, new roof recently put on the house and guesthouse. Chic, custom finishes throughout offering fantastic entertaining spaces, high ceilings, and French doors throughout opening to the resort like, low maintenance grounds with sparkling pool and roof top patio for spectacular views. Garage parking for 5 cars, over height garage, side entry. This home is a ''Must See''.